Free energy generators (non-fuel generators) for home, car, electric scooter. Ready-made generators are offered, as well as manuals for assembly by one own hands (DIY). In nature, there are two types of electricity. One kind is familiar to us - it is an electric current. The second kind is as familiar to us, but people confuse it with the first one. This is statics. Statics has little to do with ordinary current, does not obey the well-known laws of Ohm and Kirchhoff. For static, there is no EMF and the potential difference between which the classical Ampere current flows. At the same time, static is easily converted into the usual electricity. Generation of free energy is based on the interaction of static and classical current. There is no uncharted energy from the ether, there are clear material processes, of which, nevertheless, you will not read in one textbook. All Free energy generators work according to known physical laws, including in full compliance with the Law of Conservation of Energy. The difficulty of creating a generator of free energy is due to some physical dogmas and stereotypes. Free energy generator - fuel-less generator is that you can't buy in the store. People are spoiled by the dominance of goods for all occasions, this situation refuse to understand. The diagnosis "you can buy everything", absorbed into modern human so that is not treated. Because under the guise of fuel-free generators, buyers sell anything, but not Free energy generator . Why not sell, if the buyer wants? And sell. And buy. And then complain: bought Free energy generator 10 kilowatts for $100, but it does not work! So there's nothing to work with. Here diesel generator 10 KW is large and heavy, much of it is "hardware". Filled it with diesel fuel - it works. But not at $100, and for $10000 + diesel fuel. Most importantly the seller to sell. In any way, though. D. Smith is one of the brands in the field of free energy, second only to the popularity of Nikole Tesla. At the same time, Smith has only one design of the fuelless generator, while Kapanadze does Free Energy Generator as if he bakes pies. But the question is certainly not in popularity, but in the possibility of repeating a particular device. How many people tried to repeat Smith is difficult to say, but a lot. The design is extremely simple: a spark resonator swings the spark generator. But then there are 100500 questions on the subject of what diodes make in the circuit, how they can straighten the HF altogether, and from where from the generator there is additional energy, and even in a considerable amount of 1-10 KW or even more. Radiant energy (radiant) by definition of Tesla is a special kind of energy not associated with ordinary electricity. At the instruction of the theorists of the then emerging radio engineering, which creates waves of Hertz (radio waves) in the arrester, Tesla responded with a categorical objection. In 2011, the documentary Free Energy of Tesla was released. Look. There is a lot of speculation in the film, and yet it's interesting to watch it. Radiant properties were radically different from radio waves. 1. The radiant freely penetrated through any screens and lost intensity linearly from distance. 2. Metal objects that fell into the rays were charged with static electricity, ferromagnets were magnetized. 3. The radiant, according to Tesla, immediately spread to any distance. 4. Stephen Mark's TPU generator stands out sharply from the rest of the non-fuel generators with an original approach to the design of the BTG. This generator does not contain radio frequency resonators. The working part of the TPU is a metal ring about 20 cm in diameter, with coils of thick stranded wire dressed on it. Mark repeatedly demonstrated his generator to the public, made presentations in search of investors, but then disappeared from view, that in the USA there is a rule rather than an exception. Where the inventor has disappeared can only guess. In the best case, the development of classified. Mark had several followers who managed to get good results. One of them is Otto Ronette. DIY Free energy generator is rather simple. For Assembly does not need a lot of experience. Has hard to find parts and does not require grounding. Great version of the eternal source for car or electrocuter. Of critical importance is the fact that due to the simple design scheme does not require any configuration. Collect, include and it works. Fuelless power generator is determined by the structural dimensions and may vary from hundreds of watts to several kilowatts. This device is used the free energy of static electricity. The switch is a spark gap from the car candles. The resource gap of at least 6 months. continuous operation. Grounding is not mandatory, but without it, the device "bites" in wet weather. For grounding may be used with sheet metal or body of the vehicle. The free energy generator of Tariel Kapanadze. The generator made the author's own 7 years ago and demonstrated to a wide audience. The generator output up to 3 KW. Voltage 240 Volts 50 Hz. Running from the battery, then the battery is disconnected and the generator is offline indefinitely. Science teaches us that perpetual motion machines don't exist. Many people believe that, but not all. A decade ago a simple architect Kapanadze wiped his nose many academics from physics, and in fact raised a wave of Free energy generator - structure, inspiring smart people to their own experiments. Over the years, Kapanadze has become a classic in the field of free energy. He implemented many designs of generators using principle enhance electrostatics of low-frequency magnetic field. This article is for those who are looking for a scheme of a fuel free generator of free energy. There are many schemes in the network, some of them are posted here. The first plan from the Armored train is shown on the tab. In fact, this is an attempt to repeat the shark. All hope for an elusive and wonderful regime, which is ensured by the magnetostrictive properties of ferrite. Ferrite is not suitable for everyone, but nobody knows how to pick it. Neither an armored train, nor a shark. If you have nothing to do, you can try again. Guarantee of a negative result of 99%. The second, an even simpler scheme from Nosferatuma. The generator effectively lights up luminescent llamas with a minimum of energy consumption. If you need a working plan of free energy generator, you will surely find it on this site, but first read this short little article. So, fuel-free generator ( free energy generator) - device produces electricity without fuel consumption. At present, there is enough to BTG great practical interest, probably associated with the steady decline in incomes, as a result of dreaming . They get rid of the burden of utility bills Scientists fuel-free generators are not interested and never asked Furthermore:. Mention of BTG in scientific circles is considered a sign of bad taste, due to the fundamental academic opinion the impossibility of obtaining more than spent. Meanwhile, academics have long learned how to get more, though it is not a science, physics, and science is limited to the economy. Sergei Alekseev succeeded in repeating DIY Free energy generator according to the well-known scheme of Ruslan Kulabukhov. In principle, supernovae are often ignited. than someone can achieve an increase in the scheme Ruslan. A hundred, maybe. and one thousand assemblies is successful. And this, in spite of the fact that the scheme of this Free energy generator would seem to be studied to the smallest detail. What is the secret of rare successes and bitterness of mass disappointments?As practice has shown, the generator of free energy is absolutely inadequate to copy accurately. It is necessary to clearly understand how the device works, where the increase occurs. This is the main problem of our time. Free energy generators of Ruslan Kulabuhov attracts homebrew with no gaps. But this advantage is offset by the complexity and difficulty settings. Ruslan, despite the obvious effort, still could not give a lucid description of the principle of getting a raise. However, the generator Kulabukhova begins with the essence of the understanding of the processes that occur in the "pot" and "grenade". Not understanding the principle of operation, it is possible to wind the wires are infinitely long, and one guessing, it is easy to lose the result when you try to repeat or improve the designs. A description of the operation (physical principles) free energy generator of Kulabukhova. You will learn:What happens in the "grenade". Free energy generator of Khmelevskiy on the pulse transformer to the old color TV generator was produced in small series for geologists Generator Khmelevskiy - a perfect example of forgetfulness humanity few as 30 years ago, geologists hauled in backpacks real BTG, absolutely not thinking about the originality of the device. at the same time the crowd of unbelievers in all forums need to show them acting th BTG and flatly refuse to believe in the possibility of violation of the law of conservation of energy. Generator story is that the author, in spite of the made actually running generators, refused to accept the application to the Patent office. Free energy generator can be made from a power transformer, or rather on a transformer steel core. All factory windings will have to be removed and reeled up. However, you will not have much to shave, which pleases. Free energy generator operates by precession of core atoms (NMR) and ferro-resonance. Each core has its own frequency, which is in the range of several tens of kilohertz. The generator can be assembled on a ferrite core, but ferrite is gradually destroyed. Transformer steel, in contrast to ferrite, has a sufficiently large plasticity and works without limitations. The manual is proposed with the scheme of generator and a description of the principle of work for self-production with their own hands and head. Scheme real Free energy generator detailing to build with their own hands. absolutely operating circuit. it is free. The dream samodelschikov of all time. this is very similar to the free cheese in a mousetrap. Now even for the wastes to be paid. and for the original development need to pay a lot. It is unlikely that Ba to have a willingness to pay for "freebie" at least ruble If there is, listen please humanitarian lecture. Is there life on Mars, if there is life on Mars, science does not know whether there Free energy generator, the science just does not know. DIY generators free energy are not fiction, but real original devices capable of transferring mankind to a new level of development. It's another matter that humanity does not want to develop, but this should not stop the creative impulse of individual representatives of our civilization. The concept of a physical vacuum, as a source of energy, finds more and more supporters. 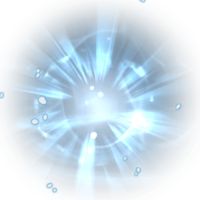 The fundamental works on the nature of the "zero point" energy have been published. The space itself or the "physical vacuum" has an internal structure, hence it can serve as a source of energy if the process of changing its structure is organized. Consider what is meant today by the term "free energy". Energy means the ability of a system of bodies to do work. The energy of a closed system is constant. Manual for assembling an atmospheric power plant with your own hands (DIY). Power plant power depends on the length of the receiving wire and can reach 200-300 watts. In our time it is believed that an atmospheric power plant can not give enough energy, but this is an erroneous opinion. Meanwhile, atmospheric electricity has been used for a long time and successfully, which there is a lot of evidence (see photo above). Even in the Middle Ages, static power plants were used to power gas discharge lamps, which carried out night illumination of various structures. Now few people know about this. We again invent what we invented before us. The use of the atmosphere as an alternative source of electric current is considered in dozens of patents and many articles. The original atmospheric power for the home, using the electrostatic air charge . as an alternative energy sources are commonly used sun or the wind, but it is very rarely used atmospheric electrostatics few people know that a few hundred years. back energy collection from the atmosphere has been quite popular as well as the atmospheric static collectors used various metal block RP G designs on the dome of the church, similar to modern crosses. At home, usually there is no way to build a high mast, but the static electricity does not necessarily take on the high altitude. The air is always moving and carries with it a charge. Atmospheric power assembled in the housing of the uninterruptible power supply unit.